This authoritative overview of the main approaches to counselling and psychotherapy offers a uniquely concise and systematic framework for understanding and comparing different models of working. 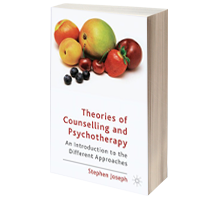 Bringing together the philosophical and practical elements of a wide range of psychological therapies, Stephen Joseph examines the assumptions and values that unerpin different understandings of mental distress and the various approaches to psychological assessment and treatment. He sets his discussion in the context of the contemporary drive towards evidence-based practice.